Radiofrequency ablation is a wonderful treatment option for addressing numerous painful conditions. 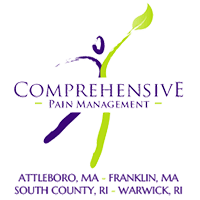 At Comprehensive Pain Management’s four convenient locations in Attleboro or Franklin, Massachusetts, as well as South Kingstown or Warwick, Rhode Island, Do Chan, MD, MBA, and Boris Shwartzman, MD, offer radiofrequency ablation as one of many treatments to relieve pain and improve function. Book an appointment today to explore the available options. You’re always welcome to reach the office by phone to schedule your appointment today. Radiofrequency ablation is a pain relief procedure that uses a carefully controlled electrical current to heat and destroy a portion of nerve tissue. That damage impedes the ability of the damaged nerves to transmit pain signals to your brain. Most men and women who go through radiofrequency ablation experience pain relief that lasts 6-12 months, and some are free from pain for years. The procedure has a low risk of complications or side effects and is generally very well-tolerated. What conditions can be treated using radiofrequency ablation? Radiofrequency ablation is an effective treatment option for chronic lower back and neck pain. It can also be used to treat pain that occurs due to joint degeneration and arthritis. It’s important to understand the difference between occasional and chronic pain. Virtually everyone will experience some form of back, neck, and joint pain during their lives. Chronic pain differs in that it persists despite various treatment efforts. When conventional and conservative treatments fail to yield notable improvement in pain levels, a more in-depth treatment approach is called for. Once you’re resting comfortably on the X-ray table, numbing medication is delivered to the treatment site to reduce discomfort. You remain awake and alert throughout the procedure. A fluoroscopic X-ray helps Dr. Chan or Dr. Shwartzman guide the treatment needle to the source of your pain. Contrast dye can enhance the real-time imaging process. You may feel some pressure during this portion of the procedure, but no significant discomfort. Once the needle is properly positioned, a radiofrequency current is directed through it. The heat generated from that energy creates tiny, precise burns on the nerve tissue. That interrupts the transmission of pain signals between the body and the brain. You should be able to go home after your procedure, and you’ll be able to get up and move around immediately afterward. You should have a friend or loved one available to drive you home. You might experience discomfort for up to two weeks after your procedure as your body adjusts. Many men and women are able to return to work within a day or two, however, and most report a reduction in discomfort within 10 days. If you’re curious about what radiofrequency ablation can do for you, schedule a consultation by phone today.